Donegal looks set to be the only county in Ireland to vote no to the repeal of the 8th Amendment. In contrast with a resounding Yes from the majority of the country, tally figures are showing a 52pc of voters are opposed to repeal while 48pc are in favour. Of 59,869 votes tallied, 28,703 voted Yes and 31,166 voted no. Early tallies had suggested Co Monaghan could have been on course for a no - however yes is now running at around 52pc. Roscommon - the only county in Ireland to vote against equal marriage in 2015 - looks set to vote in favour of repeal by 57pc. 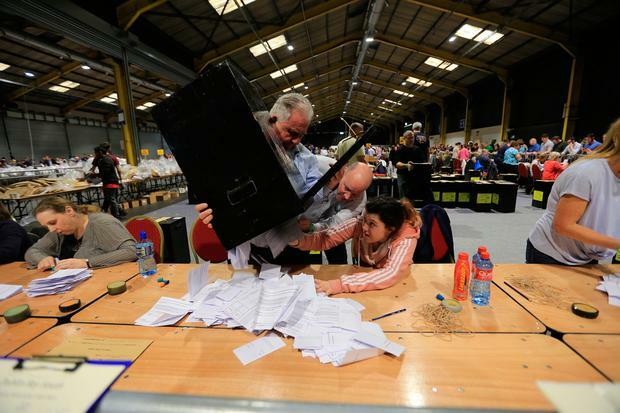 Early tallies in Co Longford also suggested the county could have been heading for a 'no' vote - however final tallies suggest repeal will be backed by a margin of 54pc. In Westmeath end of the constituency, 58pc of voters opted to repeal the Eighth Amendment while 42pc voted for its retention. Some rural parts of Co Kerry only marginally passed repeal, the county overall looks to vote for repeal in a 60:40 margin. For the country as a whole, a Yes vote is set to win on perhaps a 70:30 split.